Anna du Boisson – Dance Advisor and Ballet Teacher: Anna trained at Elmhurst Ballet School and Rambert Ballet School, going on to dance as a soloist for 15 years in major ballet companies. Anna has been teaching internationally for over 30 years and is a former rehearsal director of Ballet Rambert. She also trained the original boys for the musical ‘Billy Elliot’ and is the Director of The West London School of Dance. This after-school program was founded in 1986 and currently trains over 500 students. The school is renowned for its high standards and its students are to be found in many West End theatres and companies worldwide. 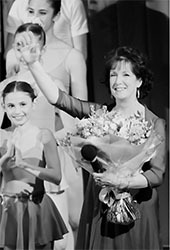 Together with her co-director, Kerry Williams, Anna formed the Young Dancers Academy in 2006. This full time vocational, academic school provides, as stated by Ofsted in 2013 and 2017 'Outstanding Education in all Areas'. The Du Boisson Dance Foundation was founded by Anna in order to provide the training and financial support she was given as a young dancer. This help and support has given Anna the inspiration and drive to pass on these opportunities to future generations. For the past 40 years, Anna has taught open classical ballet classes both at Pineapple and Danceworks. These classes continue to be a hugely popular training for both professional and the keen amateur alike. Working alongside talented musicians is a very important aspect of Anna’s work. Christopher Benstead - Contemporary Dance Workshop Leader: Composer Chris Benstead has worked intensively in the world of dance and theatre for over thirty years, composing more than one hundred and fifty scores in a wide range of styles from full orchestral to chamber, choral and electronic. 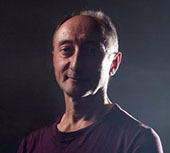 He has been commissioned to compose for, among others, Rambert Dance Company, English National Ballet, London Contemporary Dance Theatre, Cambridge Theatre Company, Royal Danish Ballet, Gothenburg Ballet, Nevada Dance Theatre, Freiburger Tanzteater, Ballet du Nord, Scottish Ballet, Amici Dance Theatre, Scottish Dance Theatre, Red Ladder Theatre Company, Gyori Ballet, Stopgap Dance Company, West Yorkshire Playhouse, Ballett Krefeld and BBC Radio and Television. He has created musical scores for large and small-scale dance and theatre companies, youth and community groups, radio, television, and film throughout the UK, in Europe, the Americas, the Far East and Africa. His work as composer for community projects has focused mainly on work with disadvantaged children across the globe, particularly in Cambodiawith EPIC Arts, South Africawith the Austrian-based s2archcharity and in Mexico for the British Council. Christopher has produced and recorded a series of albums for dance teachers and is one of the UK’s most distinguished and experienced dance class accompanists. He is currently a part-time lecturer in music for dance at the London School of Contemporary Dance. Scottish pianist Colin J Scott has made a name for himself playing for ballet companies around the U.K. His career started out working with various ballet training schools in London which then quickly led to more opportunities working with professional companies. Initially working freelance with English National Ballet in 2012 Colin was then invited to work with Scottish Ballet the following year. In 2014 Colin became a young artist on the Jette Parker Young Artist Programme at the Royal Opera House, working on many Royal Ballet productions as a rehearsal and class pianist. Highlights of his time as a young artist include: performing live on BBC Radio 3, performing in two operas in the Linbury Theatre and touring with the Royal Ballet company in 2016 performing in the shows across Japan. After three years of full-time employment with the Royal Ballet Colin resumed his freelance activities securing work with Northern Ballet in Leeds from 2017. Colin also rejoined Scottish Ballet on more productions and began teaching students of the Royal Scottish Conservatoire’s Masters course in playing for dance. At present Colin has made a return to full-time employment at the Royal Ballet. Aside from his work playing for ballet, Colin enjoys composing, teaching and performing. Recent highlights include: music director on a three man theatre show performing in London and Brighton, commissions for choirs and solo piano works, coaching the students of the Future Talent charity and accompanying Tottenham Community Choir.